Paddy Fitzpatrick, aka 'Fear an Hata', TGAG documentary was widely regarded as an extremely fit and athletic man. He was playing football well past middle age. It was a normal day for him to climb the hill or shinny down a cliff rope to the shore well into his eighties. Carol Kelleher, a native of Galway, is a clear, powerful medium and channel for sacred healing energies. Having worked as a teacher for many years, she embarked on a personal journey of intense purification and transformation. She has studied and explored many healing modalities, including Reiki, IET, psychic development and mediumship. It is however to transformational cellular healing that she is most drawn. Once Carol establishes the connection with the higher dimension, her role is to get out of the way as much as possible to allow the healing energy to do its work. She is not the healer, just a willing channel through which the healing flows. This work helps to unlock and release fears, traumas and self-limiting beliefs. It breaks old behaviour patterns and programming that no longer serve us. It enables us to come alive to our true power, passion and potential. We learn to plug into the field of creation and how to live from that place. Good nutrition is vital at any time of year, but especially during exam time when your brain and body are under stress. Whether you’re studying for your Junior Cert, Leaving Cert, or college exams, it is important to look after your mind during this stressful period. Your metabolism is by far the most critical and powerful key to weight loss. It is with you 24 hours a day, seven days a week. The potential for calorie burn and weight loss is huge. It even controls the results from your diet and exercise. By combining a great metabolism with balanced food and exercise, System 10 brings you the best weight loss plan of all. We all have metabolism faults of varying degrees of which we are not aware. 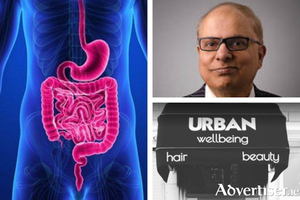 Signs of a weak metabolism include undiagnosed sluggish thyroid (40 per cent of people), hormone imbalances, nutritional deficiencies (70 per cent of people), elevated blood sugars (50 per cent of people), sluggish liver, or digestive disorders including constipation (60 per cent of people). Many of us will suffer a bout of back pain and if you’re one of the unlucky ones, you will find that the state of your bed will quickly become a priority. A good bed, providing correct support and comfort, has an important role to play in relieving and preventing back pain. Here are a few tips. We all know the dreadful feeling of sneezing or coughing suddenly while having coffee with friends or while out shopping and experiencing incontinence. Help is available to give yourself back your freedom without fear of leaks. Neck and shoulder pains are common complaints. Some people experience only neck pain or only shoulder pain, while others experience pain in both areas. Other associated symptoms can be headaches, numbness, tingling, poor sleep patterns, or more severe symptoms such as anxiety or depression. Water Babies is taking bookings for the summer term starting in May. 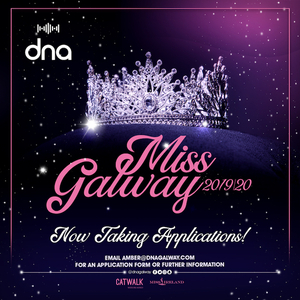 The term runs for 10 weeks with weekend and weekday classes held in Ballybane, Ballybrit, Salthill, Oranmore, Claregalway, Athenry, and Galway city. Water Babies is run by Jamie and Lisa Cobbe and currently teaches more than 1,000 babies and toddlers per week in Galway, Mayo, Limerick, Clare, and Sligo. Osteoarthritis is the most common form of arthritis in Ireland, affecting more than 400,000 people. Osteoarthritis is caused by wear and tear of cartilage in the joints. There has been an increase in the number of people with osteoarthritis in Ireland for two reasons; our ageing population and more obese people putting an increased strain on their joints. #L’ORIENT In Francis's Soap Shop you will find a unique range of cosmetics designed for our beloved children! #L’ORIENT In Francis's Soap Shop you will find a unique range of cosmetics designed for our beloved children. 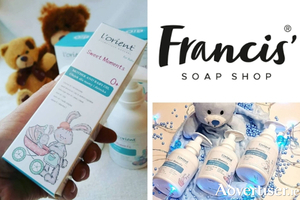 Sweet Moments L'ORIENT takes care of your #child'skin, both during washing and #skincare. This unique children’s range contains the highest quality ingredients, obtained only from organic crops. Using cosmetics from our range, you guarantee your #children pleasant, gentle and above all safe at every step hygiene and care, from the moment of birth. In addition, you'll take care of the environment in which children will grow up! Why Sweet Moments L'ORIENT is the best choice for your child? 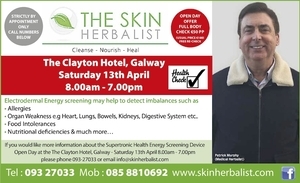 One Galway best-selling author is out to fight chronic ill-health. 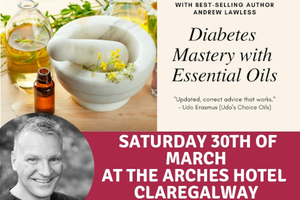 Begin improving your health during this workshop and book signing on Saturday, 30th of March at the Arches Hotel in Claregalway. 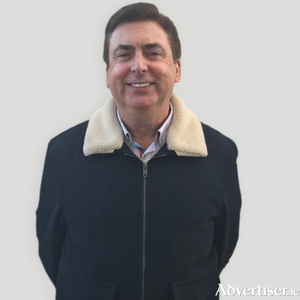 WW, formerly known as WeightWatchers, recently rebranded to reflect the fact that it is becoming the world’s partner in wellness. WW has always been the global leader in weight loss, but now WW welcomes anyone who wants to build healthy habits — whether that means eating better, moving more, developing a positive mindset, focusing on weight, or all of the above. 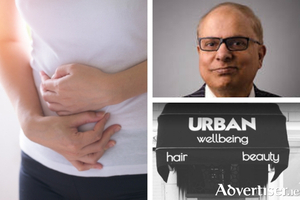 Hormone Health Week is taking place from March 25 and offers the ideal time for us all to find out more about how to look after our hormone health. Through five stages of womanhood our hormones influence our bodies, cycle, and wellbeing, affecting our mental and physical health. 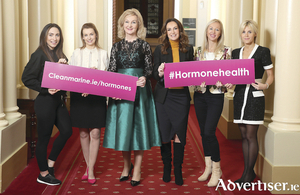 Cleanmarine is here to help with advice and support for women of all ages by hosting a series of in-store hormone advice events during Hormone Health Week.